So according to the biggest and most rigourous study of its kind, “eighty-seven percent of chief executive officers (CEOs) say the United Nations (UN) Sustainable Development Goals (SDGs) represent an essential opportunity to rethink approaches to sustainability, and nearly half (49 percent) say businesses will be the most important actor in their delivery”. 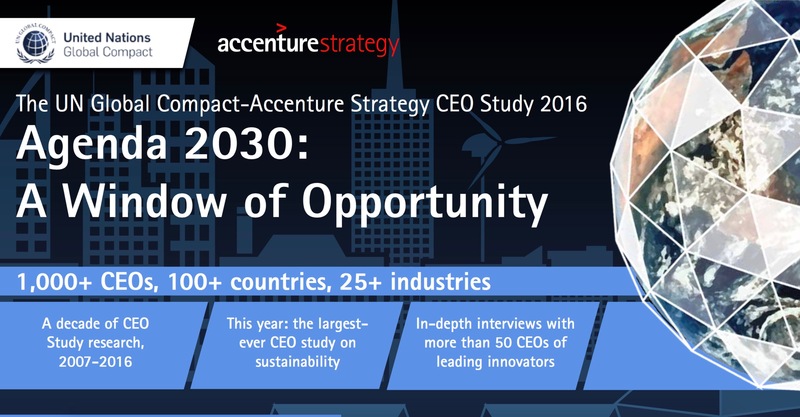 This is from a new study by the UN Global Compact and Accenture. So some good news in what’s been a difficult last week politically, with more details below in the infographic, which you can also find here.